violent move lower. 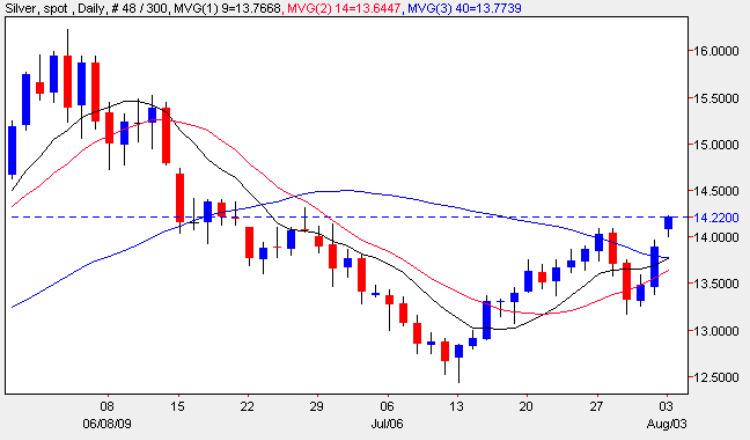 However, given the state of the US dollar as evidenced on the Dollar Index which closed on Friday at its lowest level since September last year, this seems unlikely at present and both gold and silver are basically a dollar play. My trading suggestion is to follow the Dollar intra day.